Riverside staff and elders would like to thank Bro. 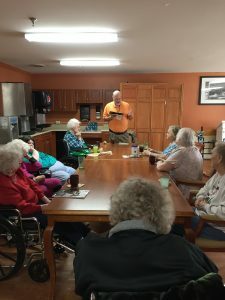 Clive Bell from Livermore Baptist Church for not only coming to lead Bible Study but taking the time to go personally go into each room to pray and spend one-on-one time with the elders. Bro. Bell is one of Riverside’s James 1:27 volunteers.